How adorable is my baby?! Ahh I can't take it! Calliope is now a big girl, she turned 1 this month. 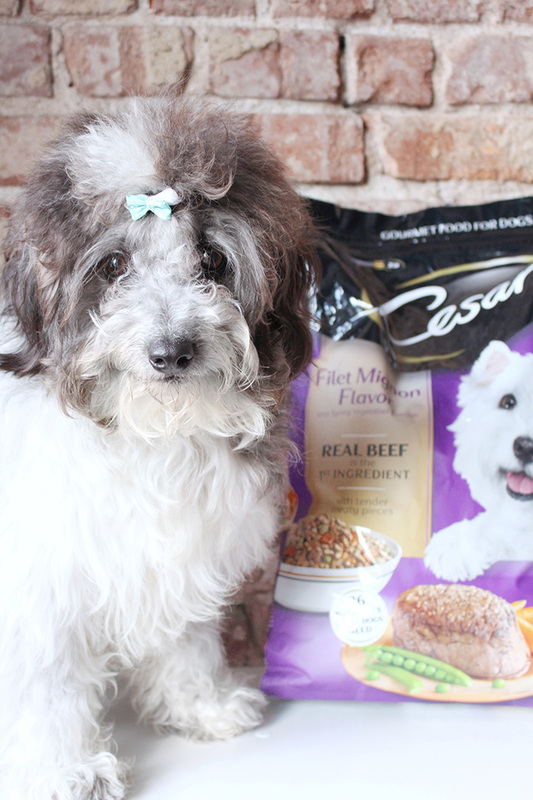 Since she turned one it was time to transition her off of puppy food to big girl food. I also wanted to make her a new super adorable food bowl for her new food. 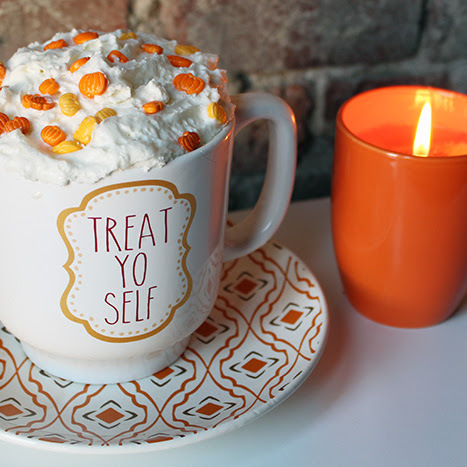 So I'm going to share that DIY with you today! As we're moving further into February a lot of people will have already abandoned their resolutions and goals. Fitness related goals are the number one resolutions made each year, and usually the first to go. Today I'm going to offer up some awesome advice and tips to help you keep your goals! One of the easiest ways to get more active is simply moving! Make sure that you're getting your steps in for the day. As a blogger, some times it's really difficult for me to do this since so much of my day is spent in front of a computer. So I compiled a list of ways to get more steps in and get myself moving! ||1} Dance it out! I recommend turning on some hip-hop and do your thing. Don't worry, no one's watching. ||2} Pace when you're making dinner. ||4} Park further away from entrances. ||5} Stop using your remote. Get up and walk to the tv. ||6} Stuck on a long call? Walk around! ||7} Walk around the grocery store a few times before you start your shopping. ||8} Stopping for the Starbucks you crave? Park and go inside, don't go through the drive-thru. ||9} Take your pup on a walk. Great bonding time for you and Fido. ||10} Do NOT go to bed until you've met your goal. Walk around and pick up the day's clutter before bed to help get more steps in. ||11} Don't skip through commercials, get up and walk in place or around your home. ||12} If you need to go somewhere that is less than a mile away... WALK. ||13} Pace around while brushing your teeth or blow drying your hair. ||14} Go to the mall and window shop while doing laps. ||15} If you have stairs, go up and down them a few times before you have a snack. ||16} While out running errands, walk around your car a few times before getting back in. ||17} Play fetch with your dog and run around with them. ||18} Pace around while your morning coffee is brewing. ||19} Set an alarm to get up and move every 30mins. ||20} Take your dog on a walk around the block every potty break instead of just opening the door and letting them go in the backyard (I live in an apartment and I don't have a yard. When I adopted my pup, my steps doubled daily because of potty walks). ||21} ALWAYS take the stairs. ||22} Bring your groceries in one bag at a time. 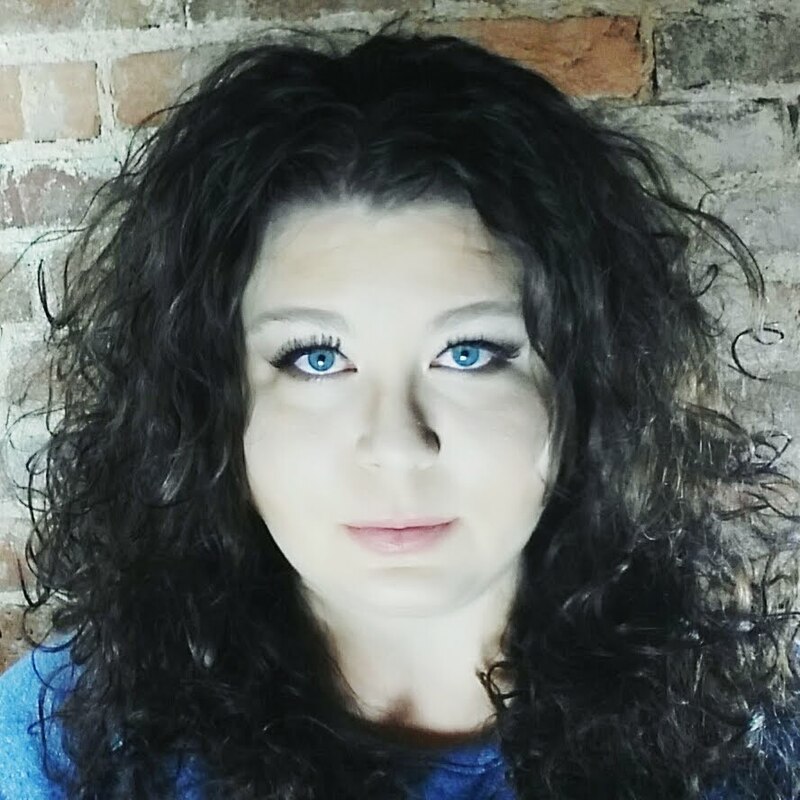 ||23} Challenge your friends on FitBit, make it a game! ||24} Choose the bathroom furthest away. You can do this in an office building that you work at or at home. We have 3 bathrooms and I always go to the bathroom furthest from where I am. ||25} Wash your car by hand. ||26} Go on a walk on your lunch break. ||27} Do the laundry more often. ||28} Pick a word or "thing" that happens in your favorite show often and get up and walk around your couch 3 times every time it happens. ||29} Get a FitBit or some other step tracker. You'd be really surprised how motivating that can be. I love my FitBit and the new bands I recently got for them. 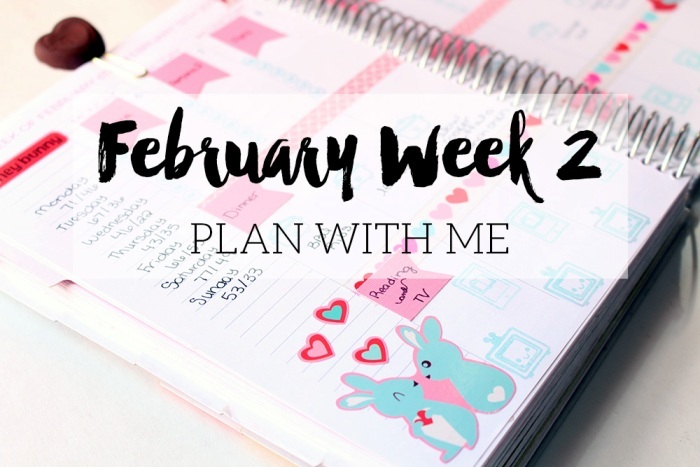 ||30} Decide right here right now that you're worth and make a plan to utilize these tips. 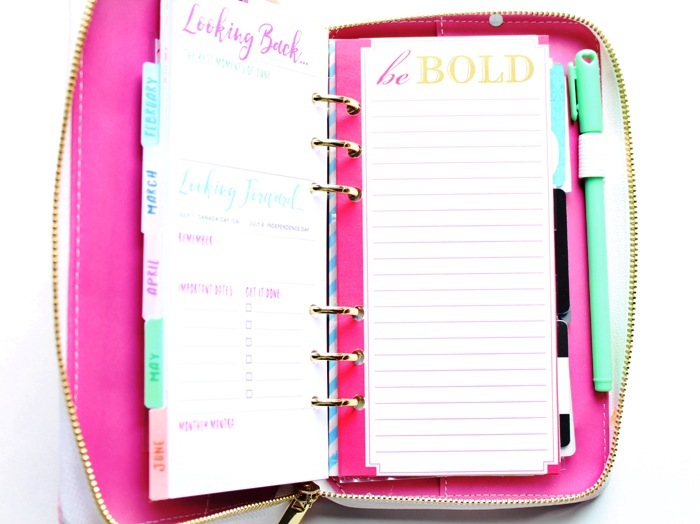 Put them in your planner and do it! 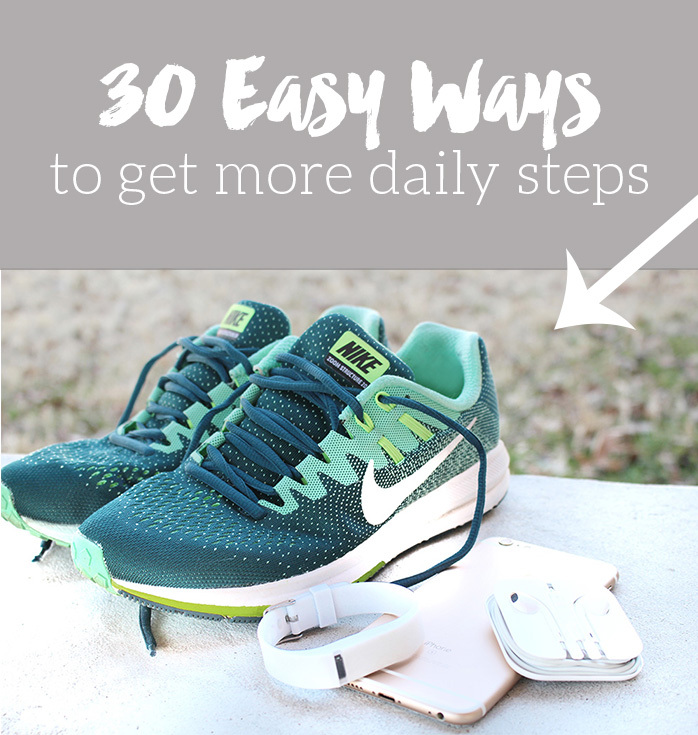 I have found that these 30 things have really helped me get more steps and more activity in my day. You don't have to go on hour long walks every day (though that'd be great! ), just find ways to MOVE while you're doing your ordinary tasks throughout the day. Hope this helps! Happy walking! Since last week's voice over video wasn't a complete disaster, and I've made peace with learning that I sound like a vapid valley girl... (no really, I had no idea!) I've decided to do another voice over for this week's plan with me. 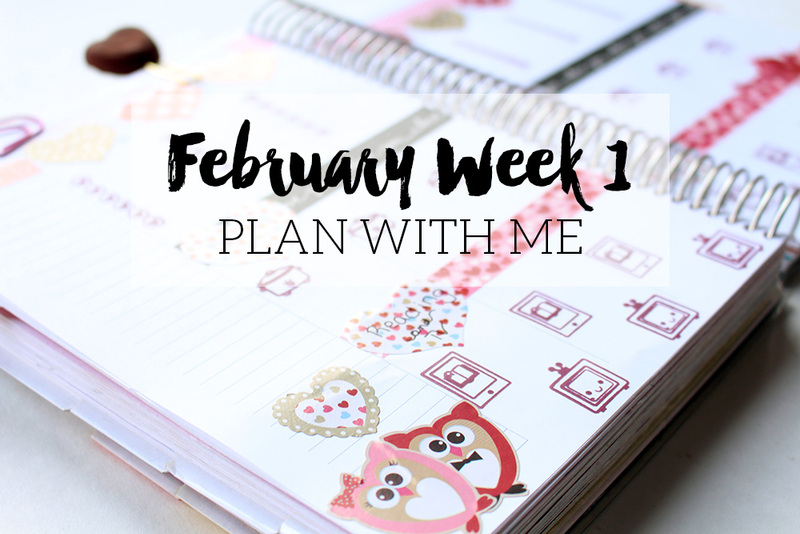 Moving along in February with more cutesy lovey dovey decor! I'm trying something new for 2017. My wallet was falling apart and I decided I wanted to try using a personal sized planner as a wallet. I picked up this Recollections brand planner from Michael's and it came with inserts. I used a coupon and got it all very cheap. 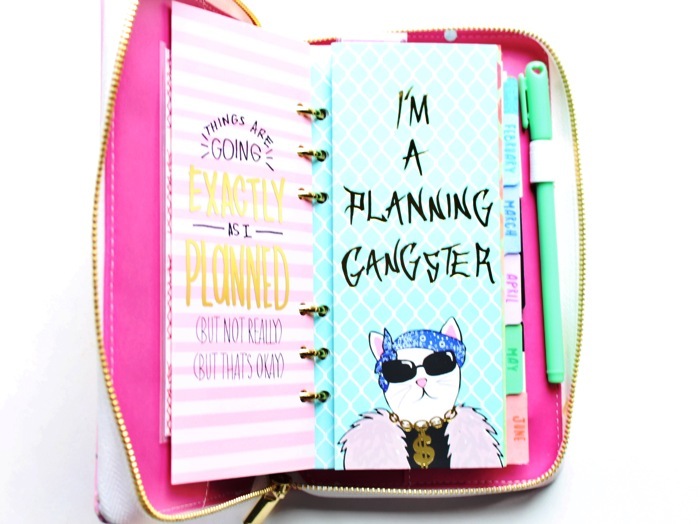 I didn't want to get a Filofax since I wasn't sure if I'd like using a planner as a wallet. So far, I'm loving it! When you first open it up, there's a flap on the inside where I keep a few sticker sheets. Since this planner doesn't have card slots in it, I had to improvise. I knew I wanted my debit card right in front... I mean, hello? That's what gets used the most! What I did was take a piece of scrapbook paper (the pineapples), laminated it, cut it down, and punched it. I picked up a package of these pockets from Michael's and I used E-6000 glue to glue the pocket onto my laminated scrapbook paper. I've been using this for about a month and it's held up perfectly! 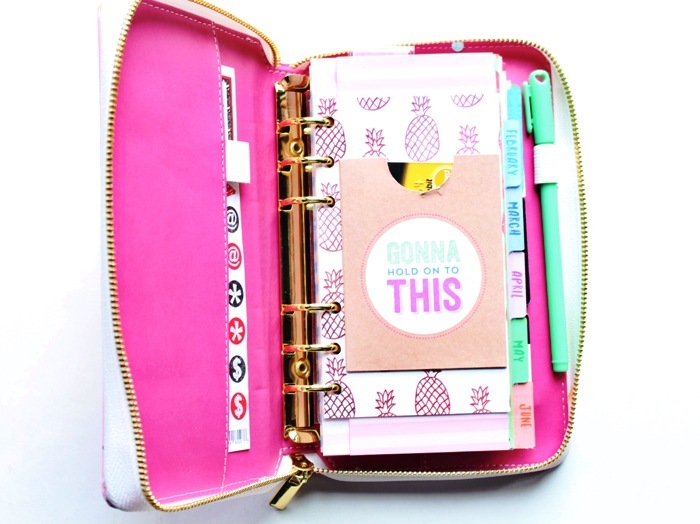 Recollections has so many cute accessories that go with their planners. I picked up a package of folders. This is the first one in my planner. I use it to keep receipts. Can we talk about how cute this folder is?! I really haven't used this one for much... yet. What I'll likely be doing is using the first folder for personal receipts, and the second for business receipts. 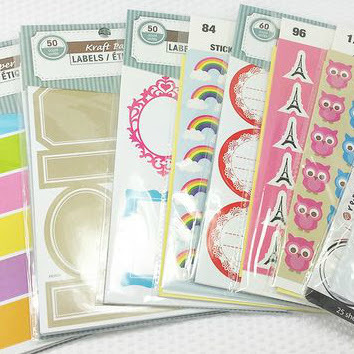 Each month tab has a super cute design on it. This is February! 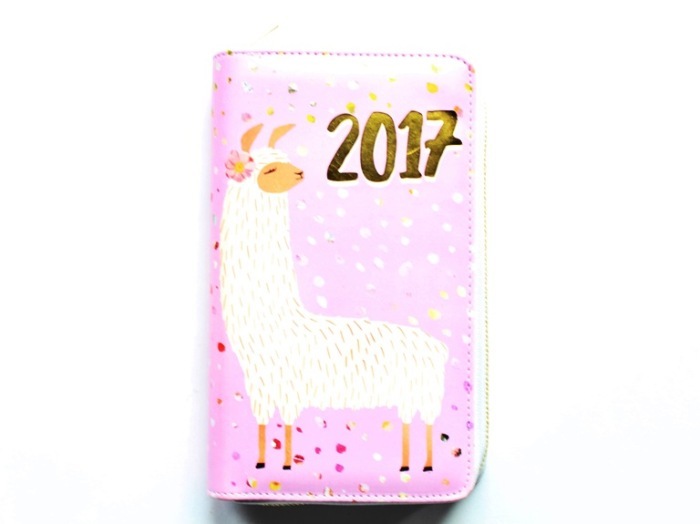 I put 6 months of planner inserts into the wallet, and took January out when it was over. Since any important information on these pages would be transferred to my main planner anyway, I don't see the need to keep old months in it. My planner pages in this wallet I update each morning. 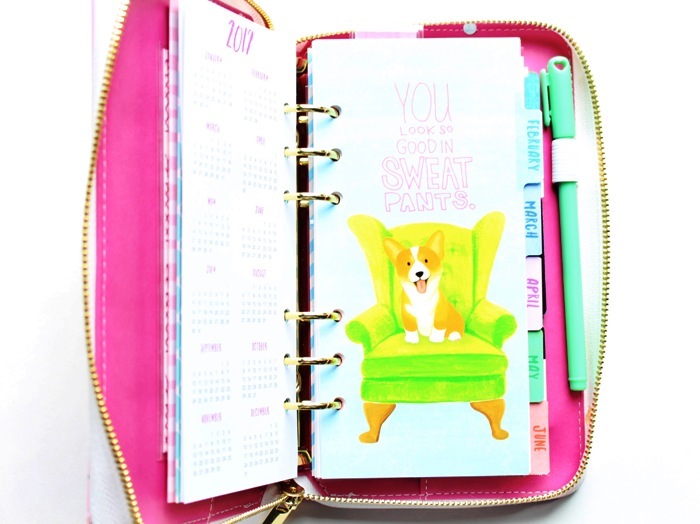 I sync the day with my main planner at home. I write down errands that I need to run, any appointments I may have, etc. I took an old paper pad from Michael's and took out about 15 pages. I cut them down and punched them. The Recollections inserts didn't come with a "notes" section and I need paper to jot things down on. I also cut a slit in each hole so I can pull these pages out if I need to, and put them back in. Since this guy doesn't have card slots in it, I sat down with my fuse tool and some page protectors and made my own! I'm going to do a video this month on how I made these so keep an eye out for that. Behind my 2 card sleeves is another folder and a checkbook. I'm not sure how long this setup will hold up. I've got a lot of DIY going on in this wallet, but so far it's doing great! I'll have to check in and update you guys in a few months and tell you how it's going. 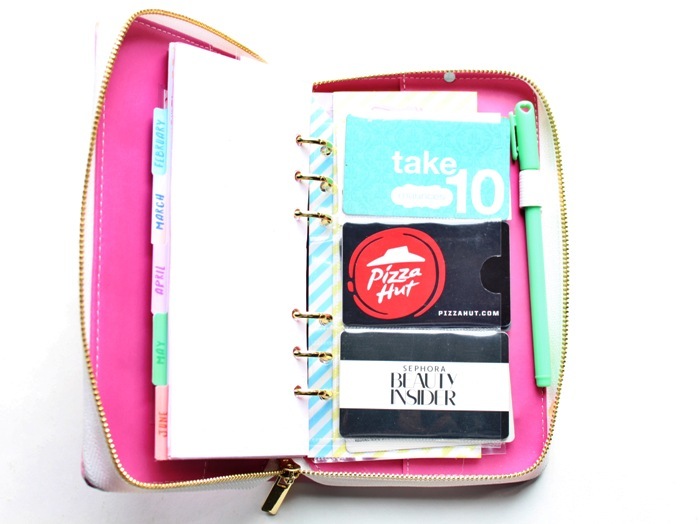 Do you use a personal or mini planner as a wallet? 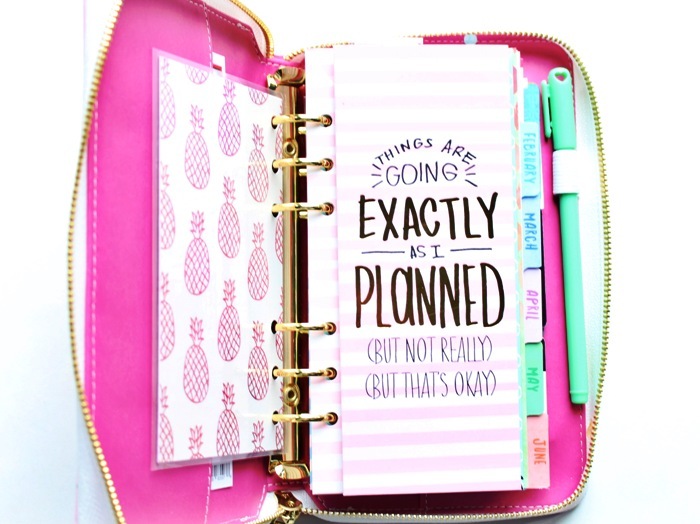 What planner do you use for it? I LOVE Valentine's Day. I love pink & red & hearts and all that girly stuff, so I love decorating in February. This week's layout uses very little supplies and is an affordable look.